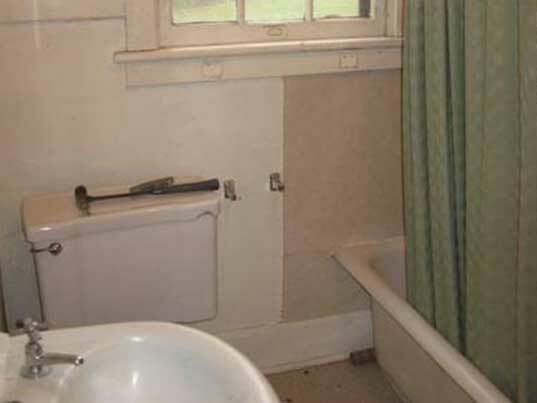 From the simplest bathroom remodels to the complex custom master bathrooms, Castile Construction, Inc. can bring your old bathroom back to life. A bathroom is an intimate space. With careful planning, you can make the most of this important room. Whatever your style, we can create a space that is unique to your needs. Castile Construction is Certified in Universal Design through the National Association of Remodelers (NARI). 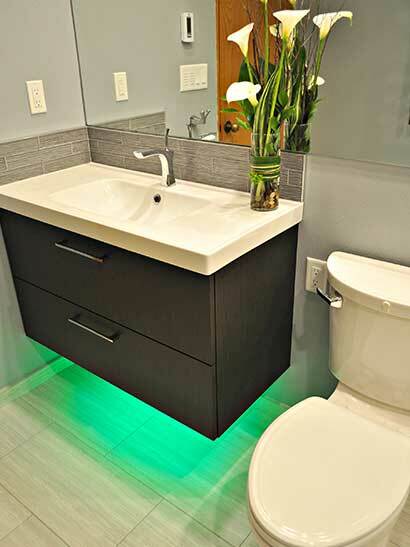 This furthers our commitment to helping design your Bathroom Remodel vision to completion. Castile Construction, Inc. your Eugene, Oregon bathroom remodeling experts. We give attention to every little detail whether it be the shower, cabinets, flooring or counter tops. 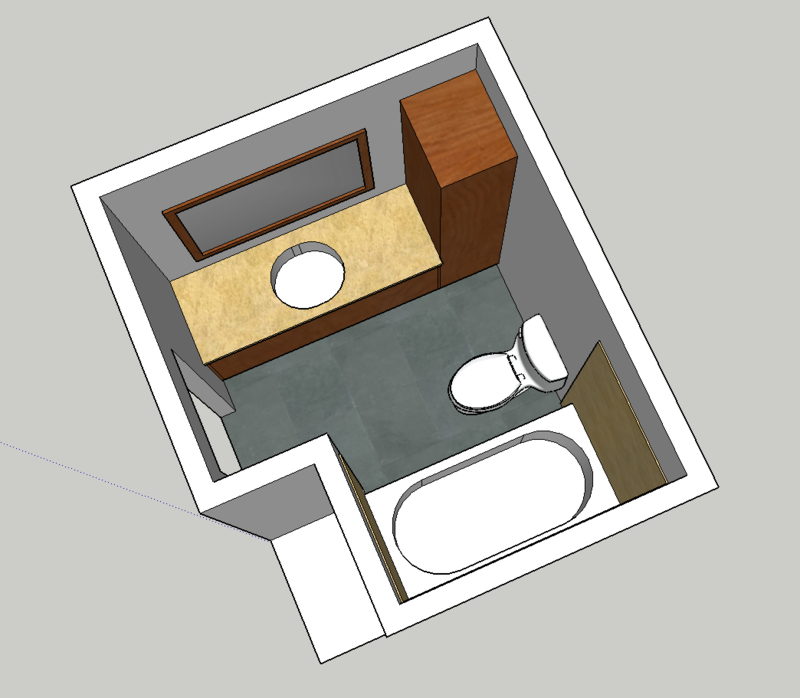 Take a look at a recent Eugene Bathroom Remodeling job we did, with a sketch of the bathroom, along with the before and after pictures. Please check out one of our Eugene Bathroom Remodeling jobs with video customer testimonial here. 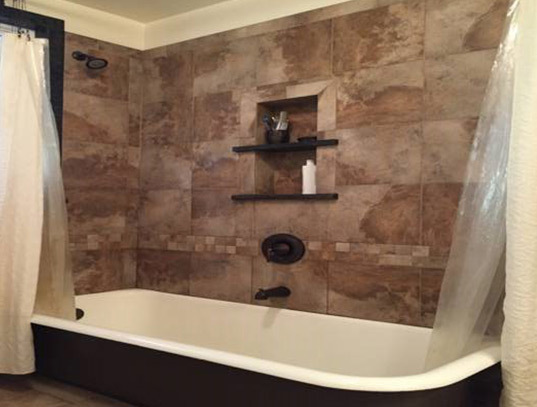 And we have another Bathroom Remodeling job from Eugene also with a video testimonial here. 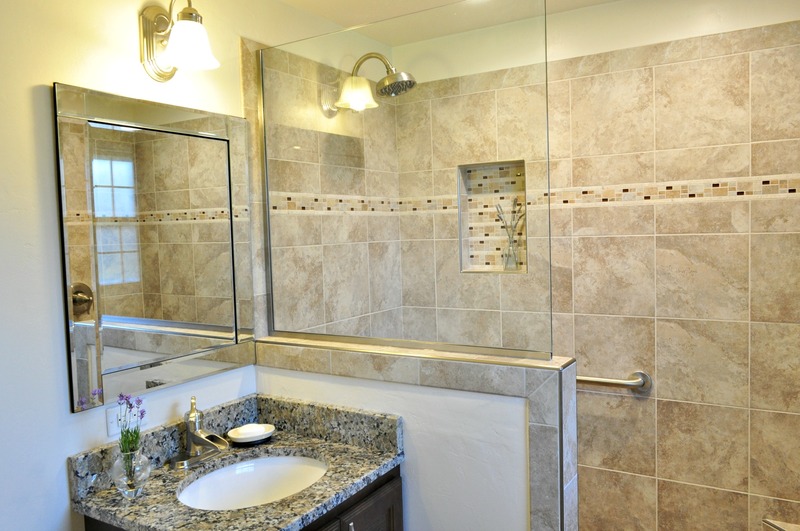 Want to learn about the Bathroom Remodeling process? We took pictures of a home renovation bath remodel job and explain the whole process showing how this beautiful bathroom originated from an old one. A detailed review of the above before to after bathroom remodeling job here. See more of Betty W’s and other customer testimonials for our contracting business here. Updating your master bathroom can really make a difference in how you start and end your day. Take a look at this bathroom remodel in Springfield to see how we transformed our client’s shower from dark and small to light and spacious! If you have a specific aesthetic or theme throughout your house, take a look at this recent Victorian styled Bathroom that Castile Construction, Inc. remodeled. Paying attention to the fixture details and using what the client already owned created a beautiful space to relax in. In Creswell, Castile Construction created a natural and relaxing bathroom suited to the clients lifestyle and house style. Not sure of how you want the bathroom to look then look no further. Castile Construction will work with you through its Bathroom Remodeling Design Process to allow you to visualize the final project.